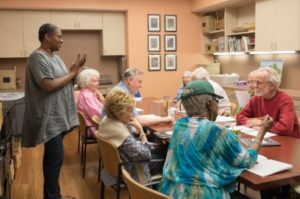 For the past year, Inprint C. Glenn Cambor Fellow and UH Creative Writing Program graduate student Niki Herd has been teaching an Inprint Senior Memoir Workshop at Amazing Place, a day center for individuals with mild to moderate memory loss. The seniors have been meeting with Niki on a weekly basis, engaging in creative writing activities. Today, the participants from the Inprint Senior Memoir Workshop will have a celebratory reading. 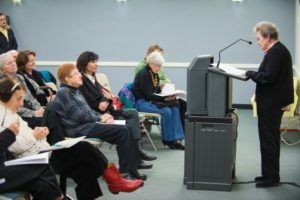 They will read excerpts of their written work for everyone at the center and invited guests. We asked Niki to tell us a little bit about the workshop participants and her reflections on using creative writing to work with the seniors. Please note that all names have been changed for the participants privacy.